For half a century, the iconic AAMCO franchise brand has been a dynamic part of American car culture. With nearly 700 auto repair locations across the country, AAMCO is the rare, time-tested legacy brand that remains both committed to innovation and trusted in the eyes of the American consumer. Why are we so successful? Because AAMCO continually invests in the franchisee experience and network infrastructure to ensure that our auto repair franchise owners know every aspect of their business and have the tools to maximize their profitability. AAMCO is stronger than ever. 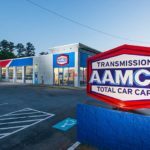 While AAMCO remains the global leader in transmission repair, the auto repair franchise is charting a new path to becoming the dominant brand for Total Car Care. To help our franchise owners get a bigger slice of the general automotive repair market, which generates $57 billion a year in sales, according to IBISWorld research, we launched our “Trust” campaign to expand the public’s perception of what we do. After all, if we are trusted to fix the most complicated part of a car, we can surely change our customers’ oil, fix their brakes and rotate their tires. This new era is being ushered in by AAMCO’s new executive team, led by CEO and President Brett Ponton. Prior to joining the iconic auto repair franchise, Brett was CEO of Heartland Automotive, the largest Jiffy Lube franchisee in North America, operating nearly 575 units. His experience as a franchisee has reinvigorated the brand by firmly placing its emphasis on driving value to AAMCO franchisees. In addition to growing the brand’s revenue streams, AAMCO under Brett’s leadership has made significant investments to revolutionize the brand’s training by opening the state-of-the-art facility called AAMCO University. Of course, one of the most essential elements of the new era for AAMCO rests in the exceptional and qualified people that make up the executive team. 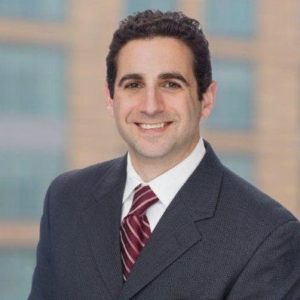 One of the key members of the executive team is Eric Simon, Director of Franchise Development, who comes from a background that includes being a franchisee, as well as several years in the intellectual realm of franchising, analyzing the industry and helping brands finance their applicants with a company called FRANdata. What did you do prior to joining AAMCO as Director of Franchise Development? Eric Simon: I worked for a company called FRANdata, which is a really great research firm that helps brands set benchmarks for performance and gives them the tools that drive results. FRANdata is currently focusing on building risk analysis for franchise brands. In my role as Senior Franchise Intelligence Advisor, I worked on the research and consulting side. I got to work with Google and Procter & Gamble, as well as with franchise brands that were trying to get a competitive edge: benchmarking for performance, as well as any part of the business they thought they needed improvement on. I also worked with private equity groups to identify brands they wanted to purchase for their portfolios, where I helped them prepare for the purchasing of any given brand. 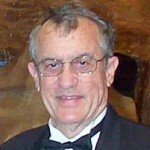 Before that, I was the area developer for a QSR franchise in Southern California. During my tenure there, I realized that I have empathy for franchisees but I have empathy for the franchisors, as well. I saw that the need for standards and processes is as essential to a franchise system’s success as it is for franchisees to follow those standards and processes in their local businesses. What made you leave the analytical side of the industry to help grow the AAMCO franchise? ES: While I was at FRANdata, I realized that the further I got away from franchising, the more worried I became. I loved my role and my experience with FRANdata, but I am a franchising guy through and through. 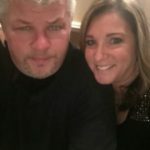 I’ve been a franchisee, and I wanted to get back into the world of helping to grow a franchise system. I believe in the power of the franchise industry, the opportunities it affords to entrepreneurs and the difference it makes to millions of families in America and beyond. There was no better place to realize what was out there than at FRANdata, where I had unlimited access to all kinds of different franchise systems. Right when I was putting my feet back in the water, I met Brian O’Donnell (Senior Vice President of Franchise Support with AAMCO), who convinced me that AAMCO was really becoming a premier 21st-century franchise system under the leadership of Brett Ponton. How has Brett Ponton made that happen? ES: Like myself, Brett has a tremendous background in the franchise industry. He really understood that in order for AAMCO to remain a vital brand, the emphasis from the franchisor’s side had to be firmly rooted in driving value to AAMCO franchisees in their businesses. In such a short time, Brett has already accomplished so much: we’ve opened AAMCO University, which is our state-of-the-art training facility in Newnan, Georgia. We offer hundreds of hours of training and education to our franchisees and their technicians. That not only helps franchisees get ramped up in their businesses faster, but it also allows them to expand their revenue streams by capturing the Total Car Care segment of the market. AAMCO is no longer just the premier transmission repair franchise — we fix every other part of the car, as well. In addition, Brett knew that we needed to simplify the business model so that our franchisees could be more profitable. We partnered with GPS to build a remanufacturing facility for transmission repair. Rather than hiring a builder, who in the past was an extremely expensive member of any AAMCO franchise, our franchise owners can now purchase high-quality remanufactured transmissions from our state-of-the-art transmission remanufacturing facility. This allows our franchisees to focus squarely on growing the Total Car Care segment of their business, while maintaining the high quality of work that the public expects from their local AAMCO franchise. What makes you excited when you think about the future of AAMCO? ES: All of us at AAMCO are passionate about maintaining the brand’s dynamic culture. AAMCO was one of the first American franchise systems, and you really can’t think about American car culture without thinking about AAMCO. That is quite a legacy. Overall, our driving goal is to be No. 1 — not just in terms of transmission repair, but the No. 1 automotive repair company in the world. We’re leading by innovation. We’re at the forefront of the industry in terms of utilizing the greatest technology to help our franchisees capture a significant share of the Total Car Market. From the franchise development side of things, we have 600 territories available in the United States — we’re trying to build out to 1,200 stores across the nation in the coming years. After that, our focus will be to build the brand overseas, and the sky’s really the limit for how big AAMCO can become from an international perspective. How does AAMCO’s Good, Better, Best program drive value to the franchise owner? ES: Before the internet, customers who required transmission repair or replacement had very few options as to costs, length of warranties and information about an auto repair shop’s quality of service. Today, the prices of automotive parts and maintenance are easily accessible from a smartphone, and the rise of consumer review sites such as Yelp! has granted customers the ability to review businesses for pricing and quality of work in order to decide where to go. AAMCO’s forward-thinking executive team sees the level of information available to the customer as an opportunity to drive value to the brand’s franchise owners. In 2015, AAMCO launched its ‘Good, Better, Best’ program to provide the customer with a range of pricing for their transmission repair. 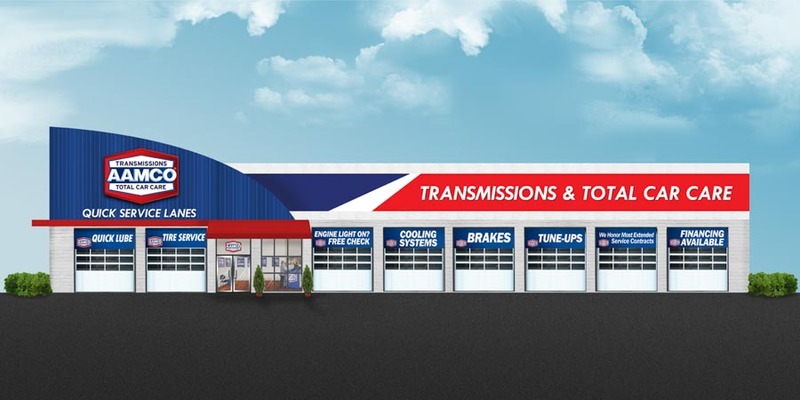 The quality of the repaired or remanufactured transmission, as well as the length of warranty, goes up from Good, to Better, to Best, allowing the franchise owner to remain competitive in the market, while at the same time providing the franchise owner with an avenue to increase their profits from one transmission repair sale to the next. 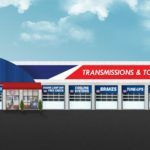 Our ability to provide our customers with a choice helps us to take away a ‘no’ vote, which in turn, helps our franchise owners capture an even larger percent of the transmission repair market — which is a segment AAMCO has dominated for more than 50 years. Have the qualifications to become an AAMCO franchisee changed with the new leadership? ES: In the past, AAMCO sought entrepreneurs who had experience in the automotive industry, but that is no longer required. Our main qualification now is for entrepreneurs to have managerial experience. The business model is so simple with our partnership in GPS, and our training is so comprehensive with the addition of AAMCO University, that really anyone with the drive to follow our proven business model can run a profitable AAMCO franchise. This shift in focus was intentional. While AAMCO is a legacy brand with a 52-year history of excellence, we have made our business model more appealing to the younger demographics who will be shepherding this great brand into the future. It’s never been easier to run an AAMCO than it is today. Not only that, but our model is easily scalable, which appeals to savvy business people who want to own two, three or four AAMCO franchises. We’re one of the only franchisors in our segment that provides a personal business coach to new franchisees for the first five weeks of operation. This comes after a franchisee has graduated from AAMCO University. It helps us ensure that every new franchisee not only feels supported, but also has a viable business plan that will help them be successful right out of the gate. Our numbers reported in the Item 19 of our Franchise Disclosure Document reveal that systemwide sales are up, and as the franchisor, this proves that not only are we on the right track, but that we’ve never been better.